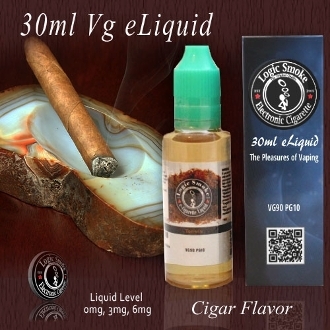 There is really nothing that can compare to the experience of smoking a fat tobacco cigar...except our Logic Smoke Cigar flavored electronic cigarette e-liquid! And without the expense, all of the special cigar supplies, the lingering odors and being shunned in public places. Our Cigar flavored electronic cigarette e-liquid will give you the full bodied taste and aroma of the real deal. And when used in your heavy duty clearomizer on your favorite MOD, you'll never miss your old tobacco cigars again! And the fat vapor you'll get will be second to none. Try it and our other cigar flavored e-liquids from Logic Smoke today!